john hudson mayfair, mayfair studios, music mixing, home recording studio, mix my track, protools, templates, audio, talking books, preset, pre-set mix set-up,rock bands, pop stars, audio experts, web mastering,sound for picture,film sound tracks,music for adverts,mixing studios,best music mixing,online mixing, online mixing studios,protools, protools mixing, protools studio. Set up a mix in minutes. The problem is the problem. 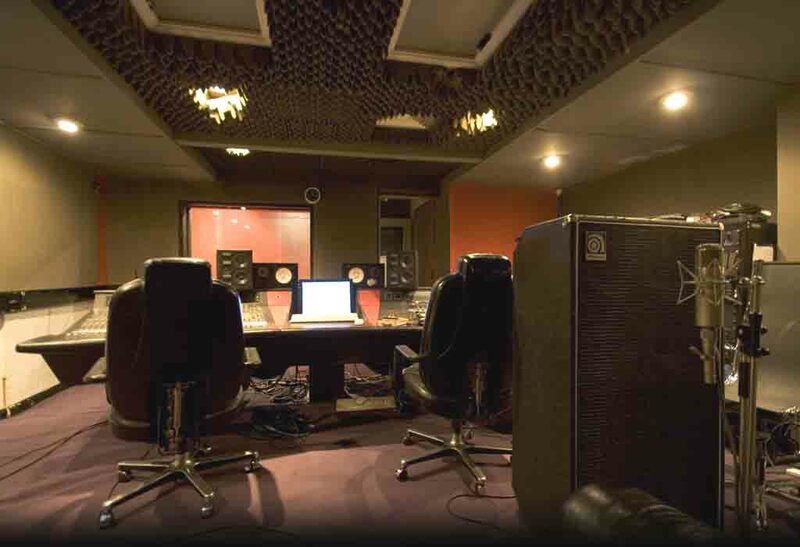 Mayfair Recording Studios, London UK. Our story about Mayfair . . . Almost everyone who came to the studios believed in the Mayfair magic, and because they believed it, magic happened. The magic lasted for 30 years and it touched everyone who was part of the magic ride. But why DID Mayfair close!! Kate has written a book about navigating Mayfair Studios through the financial crisis of 2008, a crisis which is still continuing round the world to this day. The dramas, the crazy situations, what would you have done. A thriving business in the clutches of imcompetent professionals. Be warned. Click here to go to Amazon and Purchase a bound paperback on-line. Keep Scrolling for History tour and photos. Designed and owned by John Hudson and his wife Kate, Mayfair Recording Studios was a haven of creativity, a place where recording artists could come, relax and work in peace. They loved the atmosphere at Mayfair and so many hit records came out of the studios it was as though Mayfair somehow sprinkled magic on the artists tracks. Mayfair began in the 1960's at 64 South Molton Street in London's Mayfair. The little company was poor then, but amazingly successful. We moved to beautiful Primrose Hill in 1981 and the week we moved from the old studio we had 5 records in the Top 20. It was as though the magic came with us. 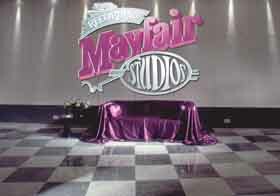 In the following years the new Mayfair grew to become one of the most respected and successful studios in the world. Why was Mayfair so different? When Kate and John Hudson took over Mayfair in 1979, the studio had no money. Other studios had better equipment, and Mayfair had nothing unique to sell but their enthusiasm and caring. This was a lesson never to be forgotten. 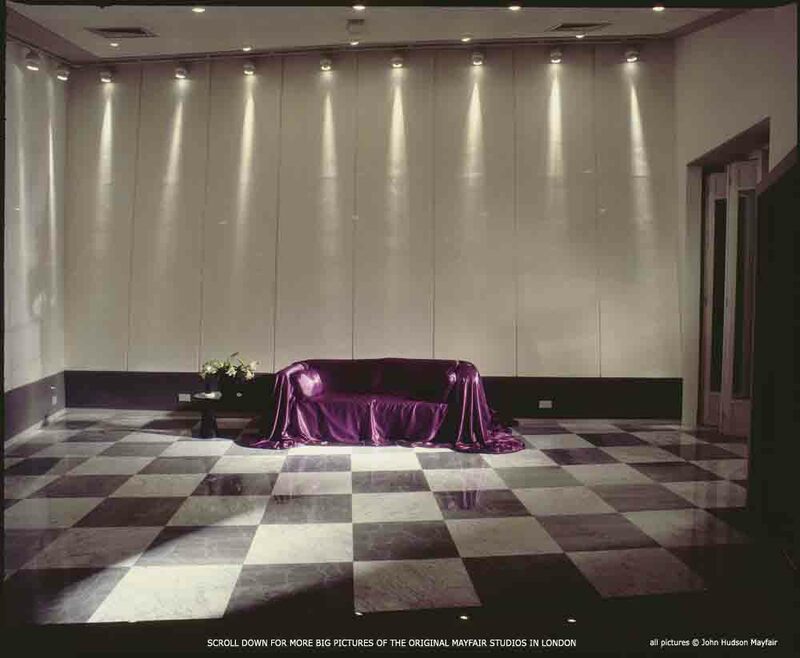 It became a way of life, and from the moment you walked through the door at Mayfair you could notice the difference. Everybody cared about your project, and wanted it to be successful. They wanted you to walk out that door happy, and with a hit record on the way. That's what Mayfair was all about. Music touches everybody - our global community now spans 105 countries speaking 49 different languages. SCROLL DOWN FOR MORE PICTURES OF THE STUDIOS and detailed spec for each studio. The large console, known as the Pink Neve because of it's pink trim!, was positioned close to the 4 way Dynaudio monitor system giving ample room for the large leather sofa, and loads of keyboards and racks, as well as the five bays of outboard effects. You could make four separation areas with maximum visibility over the whole of the recording area. Live room 35 x 18 ft/ 11 x 6 m. divided into live end and dead end plus a separation booth connected by sliding glass doors. The live room is ideal for a 3/5 piece band & tracking- excellent separation. 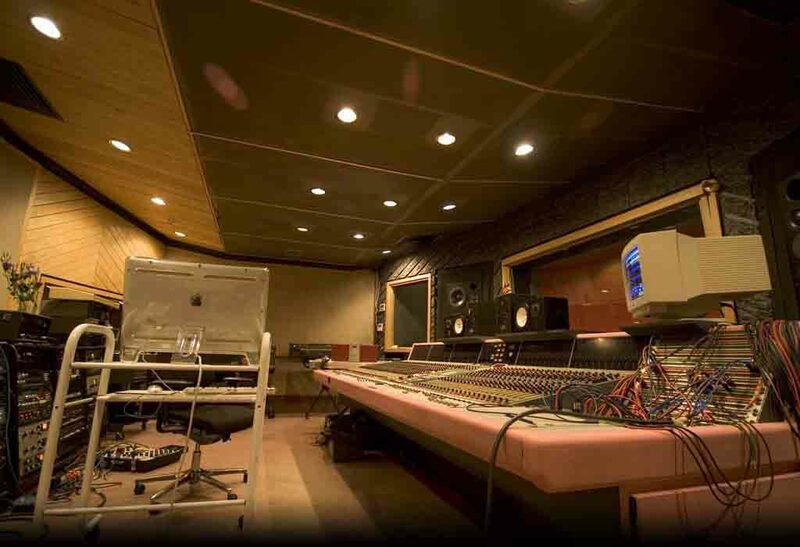 Even if you were using your own equipment, Mayfair had all the full recording studio facilities right in the building, with tons of gear, miles of cables, connect anything to anything. They could make up special leads on the spot, and had experts to get you going when you crashed! 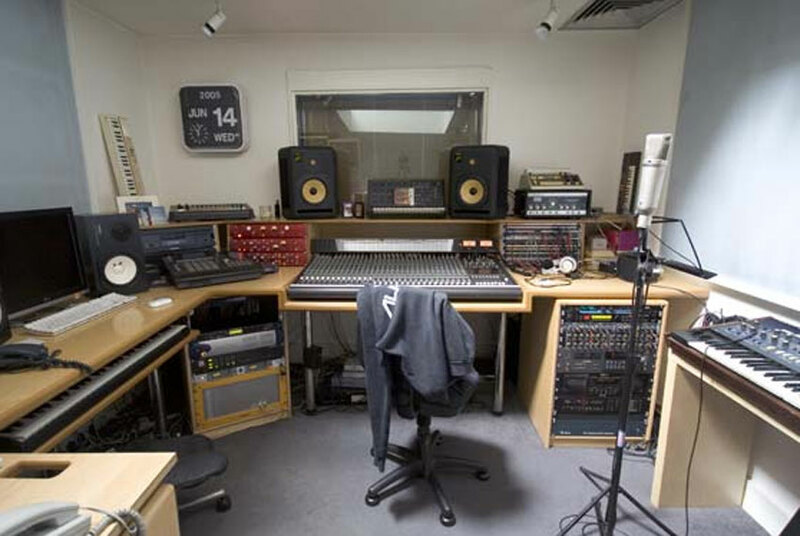 This studio was favoured by new young artists and producers and many now famous names started their careers here such as Lily Allen, Sugababes, Amy Winehouse and Fun Lovin' Criminals. 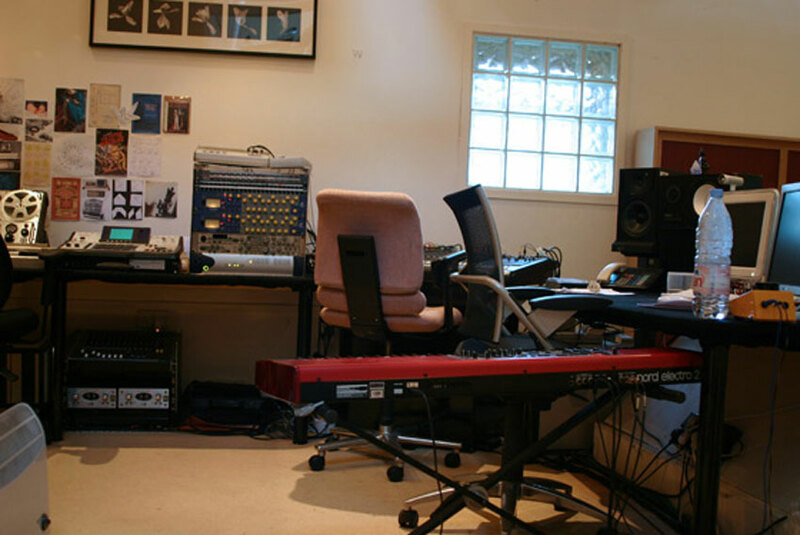 To cater for the widest range of uses: bands, composers, record producers, advertisers, audiobooks, radio & TV production, podcasts this room provided, recording & tracking single instruments, Protools, mixing to picture, voice-overs and pre-production & writing. Small Writing room with separate Live room, window between. Originally this was the room we used for meetings, but Annie Lennox asked if she could use it as a writing room when she was writing "Walking on Broken Glass" and then the Bee Gees used it for a writing room whilst they were recording their album "One" in Studio Two, so that was it - no more meeting room. Matt Rowe later became a permanent fixture for 6 years in this compact little control room with adjoining live room and mic tie-lines. He spent many hours there working on Spice Girls tracks and writing new songs. Nellie Hooper wrote and recorded the music for "Titanic" in this studio. A writer's/programmer's paradise. It had luxurious spacious room with daylight. Stairs to own mezzanine lounge tv area. Adjoining large office with self contained kitchen and and bathroom. 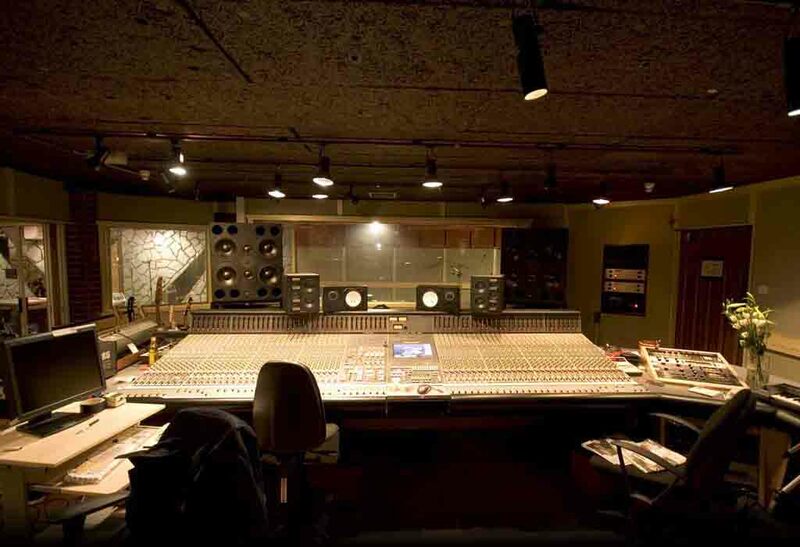 Herbert Groenemeyer used this as his own special studio for 5 years. In recent years Rick Knowles worked there with artists such as Keith Urban. A writer's/programmer's paradise. Luxurious spacious room with daylight. Stairs to mezzanine seating/tv/chill area. 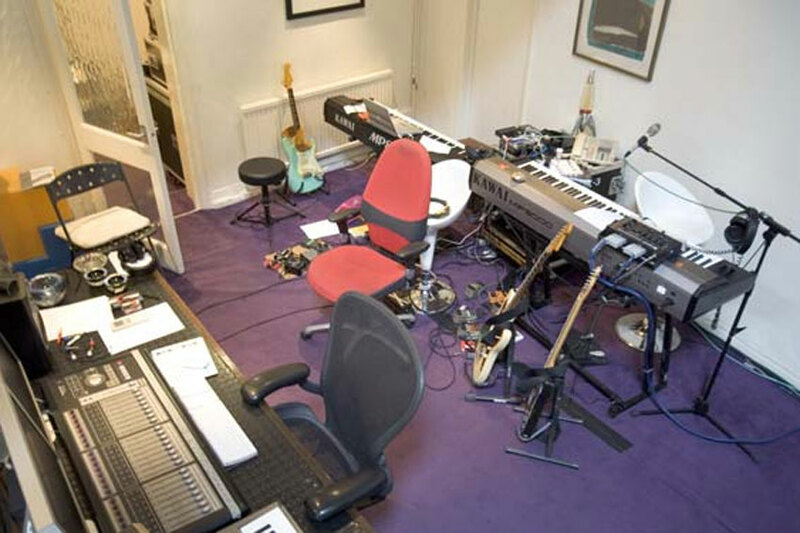 Guy Chambers and Robbie Williams persuaded us to build this room for them by converting our office space into a studio. There was a spacious main room with superb drum booth, rooflights with daylight. It had stairs to a private mezzanine seating area with tv and kitchenette. Needless to say we ended up with our office up in the loft which was the only space left in the building! Click on the pictures for more technical info for Studio 1 and Studio 2. For Studios 3, 4, 5 and 6 all relevant information is listed above. Tell us your story. . . . .
Have you recorded at Mayfair, or have some memories you want to share with us? Main photograph of band on stage by Roxana Derudi. All photos and registered trademarks appearing on this site are the property of their respective owners.